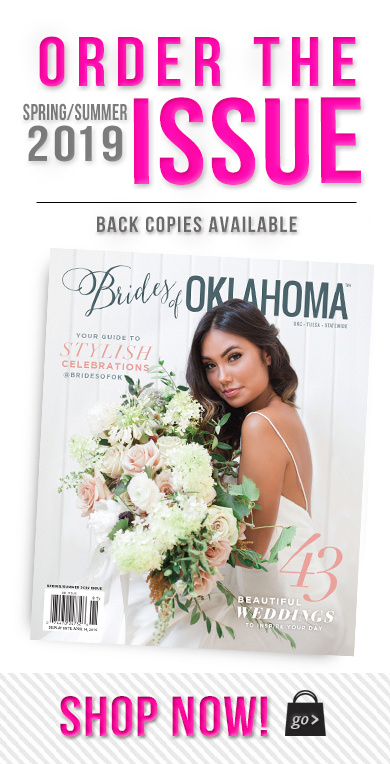 Take a peek at Sarah Hudiburg and Colby Korsun’s spring desert inspired destination wedding featured the latest issue of the mag! So much prettiness in this gallery! 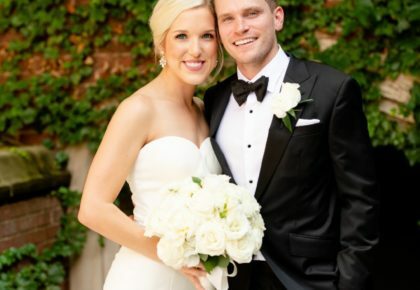 Sarah and Colby both attended the University of Oklahoma, but it wasn’t until they were both living in Dallas that the sparks started to fly. Before they knew it, they were discussing their future and their desire to move back home to Oklahoma one day. As fate would have it, Colby was offered a wonderful job opportunity in Oklahoma City and they moved back in 2014. 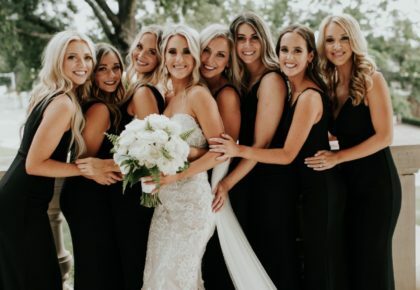 After they got engaged in October 2015, they knew they wanted to get married at the Silverleaf Golf Club in Scottsdale, Arizona. An avid golfer, Colby has special place in his heart for Scottsdale and as a photographer, Sarah enjoys the amazing scenery and perfect weather. When it came to the planning, the pair made a handful of visits to Scottsdale and got the most out of every visit thanks to the amazing team at Arizona-based Imoni Events. From the first meeting she had with Imoni owner and principal planner Jennifer, Sarah knew she was in good hands. Every vendor they recommended was perfect and helped to make the day as dreamy as Sarah had imagined. The beauty of Silverleaf speaks for itself, so Sarah opted for a soft color palette in gold, rose gold and greenery. She opted to spice up the course with fun, eclectic cocktail furniture from Prim Rentals. 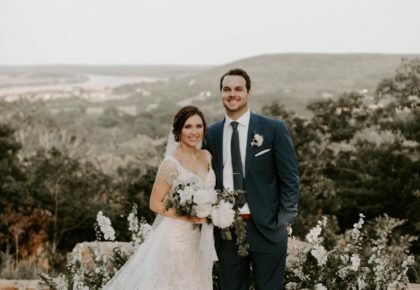 Sarah and Colby’s day lived up to all of the expectations the couple had, and they are so grateful to all who made it happen.